Start your year off with a good book! 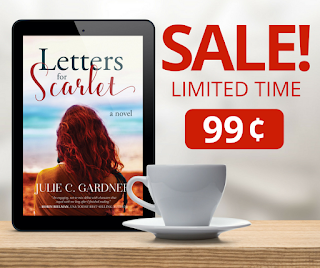 Today through January 9th, pick up Letters for Scarlet by Julie C. Gardner for only $0.99. (Sale price available in the U.K. as well.) With more than 100 five star reviews on Amazon, this novel should be on your 2018 must-read list. Twenty-eight-year old Corie Harper is visited by a ghost—in the form of a graduation letter she forgot she wrote. Although she spent a decade burying that desperate girl and her regrets, each page resurrects the past, dragging Corie back to the tragedy that tore apart her friendship with Scarlet and shattered their lives. 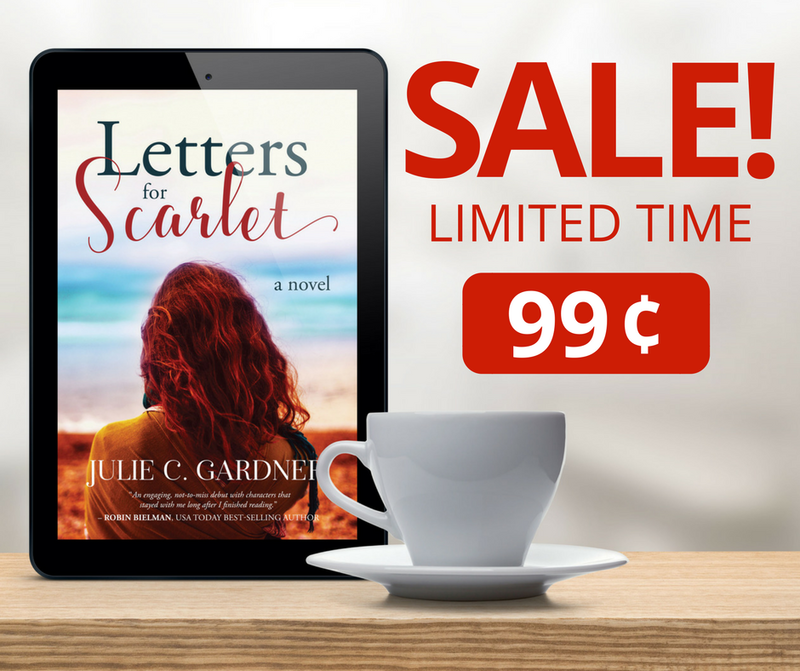 Scarlet, who hasn’t seen Corie since, is a powerful San Francisco attorney and has managed to hide her heartbreaking past. Until now. Pregnant with a baby she’s terrified to have, Scarlet must face the demons that haunt her: the mother who pushed her away, the best friend whose secret destroyed their friendship, and the tragic night that left her wishing she were dead. This poignant page-turner, with surprising twists, explores the strength of friendship and the power of forgiveness. PARIS, RUE DES MARTYRS is on Sale for $0.99!